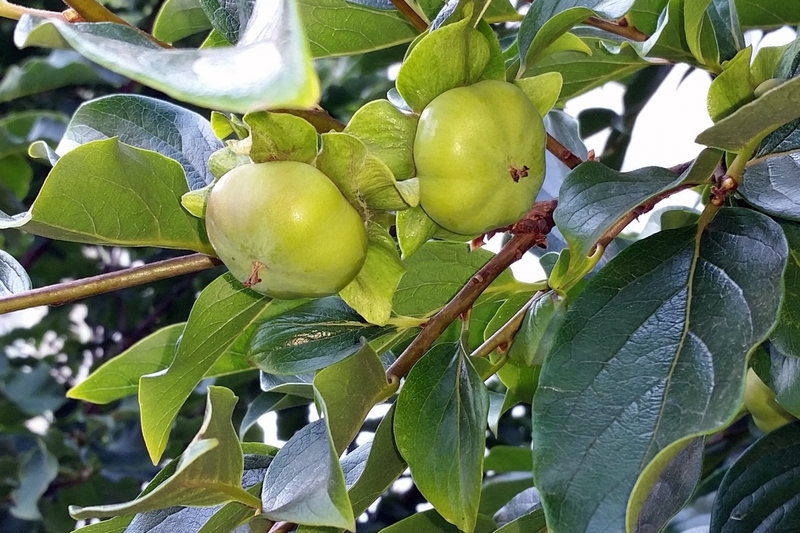 Persimmon (Diospyros kaki): growing, planting, caring. Persimmon - Diospyros kaki - is similar in shape to an apple tree but grows orange fruits, ripe in late autumn. 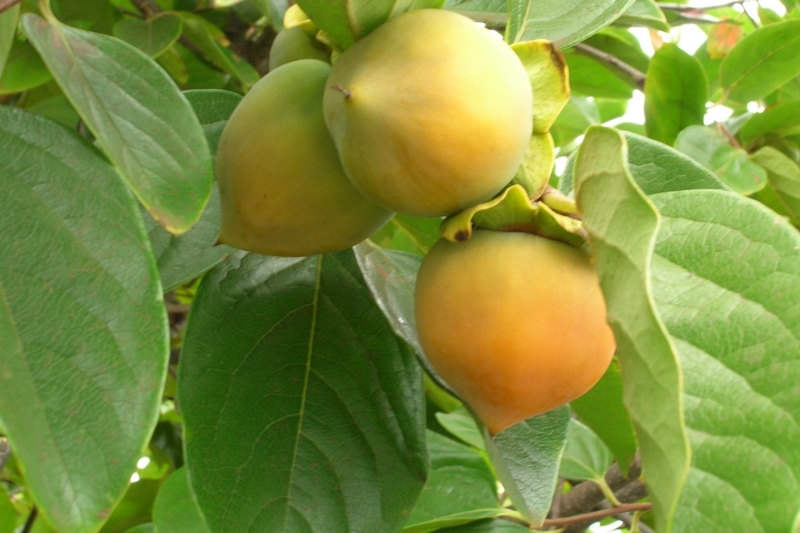 There are several botanical species of Diospyros kaki, but the most common are native to China. Persimmon can slowly reach 12 meters in height and favors mild climates because it bears its fruits in late autumn or even early winter. Occasionally, the brightly colored fruit is left unharvested on the tree as a decorative effect. The persimmon is a spreading tree, which reaches 10 meters in height and prefers mild climates to fructify, as it forms its fruit in winter. Diospyros persimmon is a tree of the ebony family that grows very slowly and is monoecious, some are males, others females. The leaves are alternate, oval, glazed and dark green, and measure 10 to 20 cm in length. It forms rather discrete flowers in summer, to which succeed - only on the female feet - edible fruits conical or spherical, orange, the size of a peach. Surprisingly, these fruits grow even without pollination, so no need to have male and female trees. 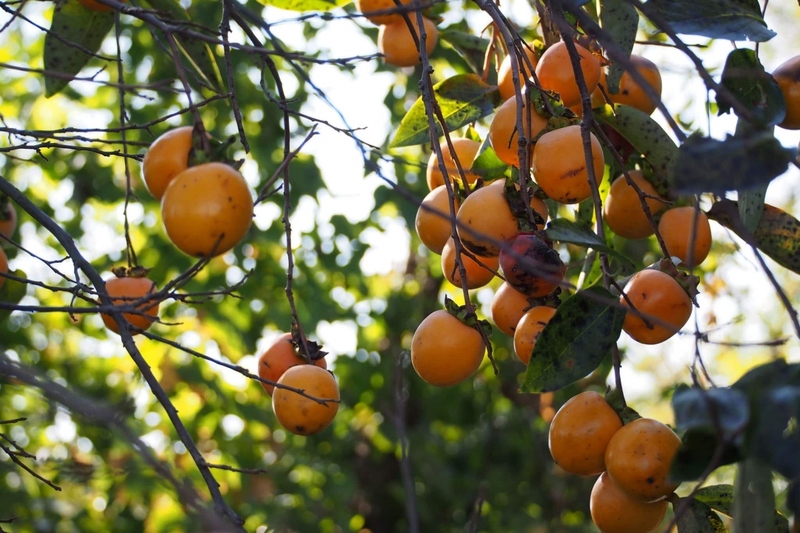 NB There are many varieties of persimmons from Africa, Asia or North America, which are more or less tasty fruits. In open soil, plant in spring in a warm spot, drained, sunny. Dig a hole three times the size of the root ball, and plant without burying the base of the stem. Plant a support pole beside the root ball. Tamp the soil well while you fill back the hole. Do not mix the soil layers. Form a large hollow, and water with at least two watering cans. In pots, plant in loam mixed with potting soil, and put gravel at the bottom of the tank for good drainage. Choose a pot as large as possible. After the first month, persimmon needs to be watered only during the growth period or if you grow it in a pot. The pruning is not essential, because the khaki has a nice port naturally. Optionally you can shorten it the first two years the end of the twigs to strengthen them, in March. The persimmon takes years to produce fruit, on average 8 years. For some varieties, wait for the fruits to soften after a frost to consume them, otherwise they are inedible because too rich in tannins. Other varieties can be eaten without problem directly by crunching in it. Remove the stake now that it is not needed anymore.